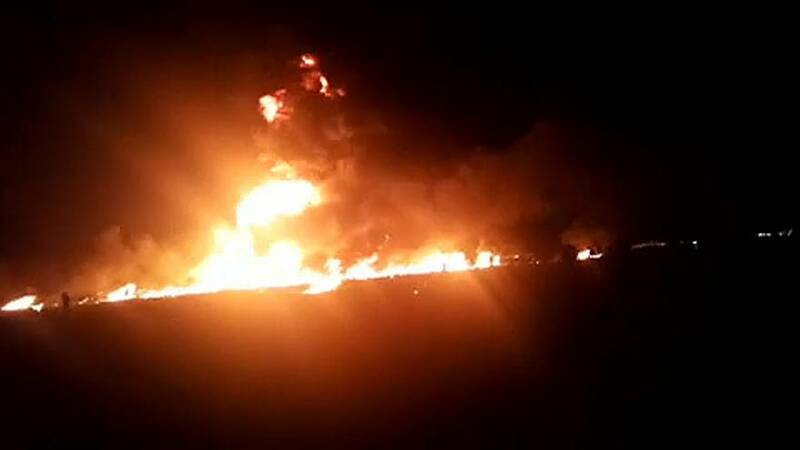 At least 66 people have been killed in central Mexico after a massive explosion of a fuel pipeline. The pipeline in Tlahuelilpan had been ruptured by thieves to enable local residents to tap the petrol illegally. More than 70 people were injured in the blast and the death toll is expected to rise. Illegal tapping of petrol pipelines is a major issue in Mexico with hundreds of cases being reported. Pictures from earlier in the day showed people with containers gathering fuel from a giant fountain spewing from the ruptured pipeline. The government has frequently urged citizens to end the practice.